In order to meet the needs of SilkChain ecosystem development and give full play to the advantages of blockchain trading platform, as well as share the huge dividends of ecological development, the official demonstration project of SilkChain ecological community super node - Silk Selection has launched recruitment plan in the worldwide. To provide quality services for global Silk ecosystem members, we recruit global outstanding Silk super nodes that freely obtain their own selection with global supply chain resource and suppliers worldwide who export products to China market. a) Enterprises must give the source of the foreign trade products factory to export China market. Enterprise management of products have the brand influence is preferred. b) Suppliers support generation delivery with some products and low requirement for MOQ. c) Some suppliers will have been invited to become the seller for China market and have their own online stores. 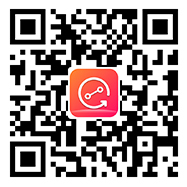 Participants, who are interested in becoming Silk super nodes, will freely obtain their own selection and APP for selling all products on this platform as well as on their own flagship stores. They can also share dividends from sellings on the platform and develop other participants to join in selection for earning dividends.